An awesome cigar, with a great presentation. Nice flavor, not overpowering - definitely one of the mildest Cubans. The cedar sheath is medium in shade and when unwrapped, the wrapper has an oily golden sheen with a fine bunch at the foot. The scent is floral, cedar wood, with hints of dry nuts. An easy draw and an even burn line from foot to nub. They light easily, the burn is slow, even, releasing swirls of smoke, a sight to behold. Starts with a very smooth coffee and vanilla cream flavor that gets somewhat spicy. The second third gives away tastes of pepper and fresh nuts. Always under the shadow of the cedar taste and those lovely hints of vanilla. The spiciness evens off now and some sweet and walnut notes appear. Finishes with a lot of herbal touches with medium-strong coffee taste. In summary, a great smoke for the price. I just bought my back up box to let the rest in my space. You cannot beat this price! Let us not forget the EXCELLENT service of Cigar Terminal! Do we all agree. Ordered and came within a week. Lightening fast!! I asked Cigar Terminal to please check the box. They did and they were perfect. I couldn’t resist, I had to smoke one although I know it should “rest” for two weeks. The flavors, the draw, the burn...an excellent experience. Everyone should have a box in their humidor. I’d put it up against a cigar 2 or 3 times the price. Great flavor, good for morning smoking with espresso coffee. 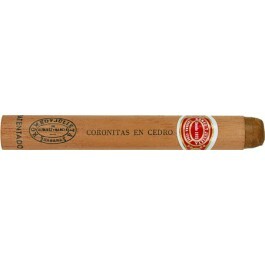 Nice cigar for the price which makes it shareable. Very enjoyable. Perfect roll off the tongue. Just let them rest a few days after received. After aging a while I found this cigar to be very good with a morning coffee. Lots of smoke, hints of vanilla and spice. Mild. I found a slightly bitter aftertaste without the coffee, so I rated a 3. For the price still a good cigar.